How Often Should We Get Our Curtain Dry Cleaned? How To Choose Part Time Maid in Singapore? How To Check If Part Time Maid Is Legal? Why You Should Always Keep Your Office Carpet Clean? How To Clean Glass Windows And Doors? Will Carpet Shampooing Ruin Your Carpet? How Much Does House Cleaning Cost In Singapore? When Can I Find The Best Office Cleaning Company? How To Do Spring Cleaning For Your HDB? Where Can I Hire Part Time Cleaner With No Agency Fee? What Are The Disadvantages Of Carpet Shampooing? How Often Should We Clean Our Carpet? Is it Good To Outsource Your Office Cleaning Service? Where Can I Find Cheap Pre-Move Out Cleaning Service? 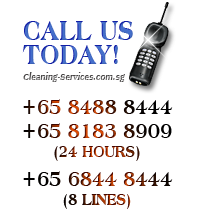 Is It Expensive To Hire Spring Cleaning Service For HDB? Why You Should Spring Clean Your Restaurant Before CNY? How Often Should We Clean Our House? How To Clean Your Office Chair Like A Professional? Where Can I Find The Best Spa Laundry Service? What Is The Best Way To Cleaning Curtain For Home? Where Can I Find The Best House Cleaning Agencies? Is Eco Friendly Carpet Cleaning As Good As Normal Cleaning? What Are The Best Ways To Clean Roman & Roller Blinds? Where Can I Find Best House Cleaning Services? How To Make Your House Clean And Beautiful? Why Hire Us As Your Hotel Cleaning Service? Why We Are The Leading Industrial Carpet Cleaning Service? When Is The Best Time To Choose Part Time Maid Over Full Time Maid? What Are The Best Kept Secrets About Sofa Cleaning? Why Choose Us As Your Church Cleaning Service? How To Clean Stains On Solid Surfaces? How To Clean Greasy Kitchen Cabinets? How Do I Clean A Wardrobe? 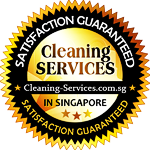 Why Choose House Cleaner Singapore For Carpet Cleaning?